Normally, I am a pretty organized fellow. I try to keep all my bins in a row. But last fall things got a bit crazy in the workshop and I couldn't find anything. I have swivels. Where are they? Where are the split rings! Grommets?! It was bad. My worktop was 8 layers of various crap that I just pushed out of the way or piled on top of something else when I needed to clear some space. I am not sure a picture would even be believable without rumors of it being photoshopped. One of the things I found in the process of cleaning was the beginning of the 3 oz. Metal Lip swimmer. When I was first envisioning that lure, I remember sitting at my desk and sketching out the shape, hook locations, weight, etc. I drew it right on the desktop, probably because I couldn't find any paper or a box to sketch on. It was a modest beginning for that lure, that took me a few years to work out the kinks. I know everyone likes to see the finished product with the nice and clean paint. Or even better the lure once its been fished starts to document the fish it has caught. 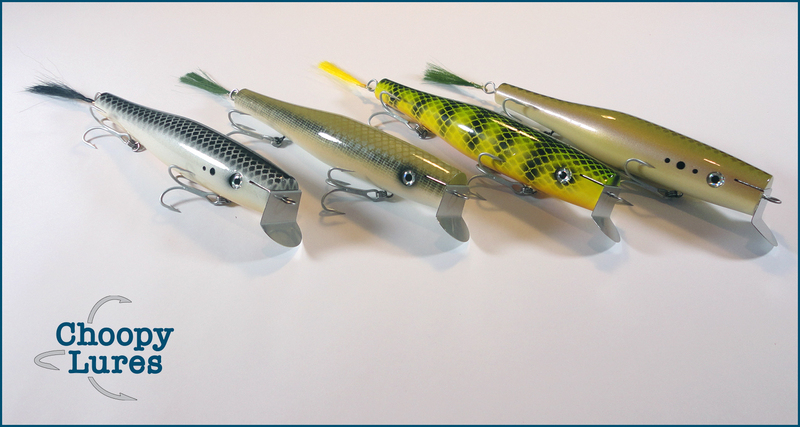 But it is kinda neat to remember the humble beginnings where some of these lures start.